The ParkCloud Parking Awards 2016 - RESULTS! 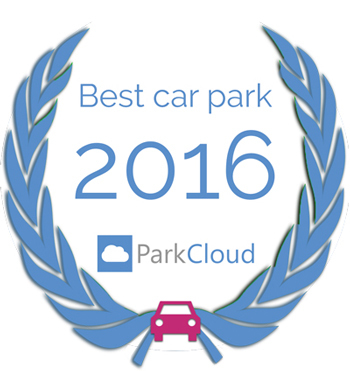 This November, ParkCloud asked you to help it find the best car parks of 2016, and it’s time to announce the results! Since it's beginning, ParkCloud has always been passionate about finding fantastic car parking operators. With over 1,700 car parks in 39 countries, ParkCloud decided to find out which car parks deserved an award by asking for the opinion of its customers – you! ParkCloud has tallied up the votes, and is very excited to reveal who's got the top spot. 2. Airport Parkservice Zurich Airport! 5. Travelers Parking Marseille Airport! 2. Barcelona Airport Hotel Aparcamiento! 3. AENA Barcelona Larga Estancia! 3. Easy Airport Parking Weeze! 1. Travelers Parking Marseille Airport! 2. Park and Trip Bordeaux! 1. Lider Parking Lotnisko Modlin! 2. Lider Parking Lotnisko Modlin Niebieski! 3. Lider Parking Lotnisko Warszawa Okecie! 2. BRATISLAVA AIRPORT PARKING – PARK & FLY! 3. Parkovanie na lestisku Bratislava Monti! 1. Airport Parkservice Zurich Airport! 1. Affordable Airport Parking Shannon! 2. Clayton Hotel Dublin Airport! 3. Crowne Plaza Dublin Airport!